The Charmed One Box comes from the imagination of Lisa Parker. 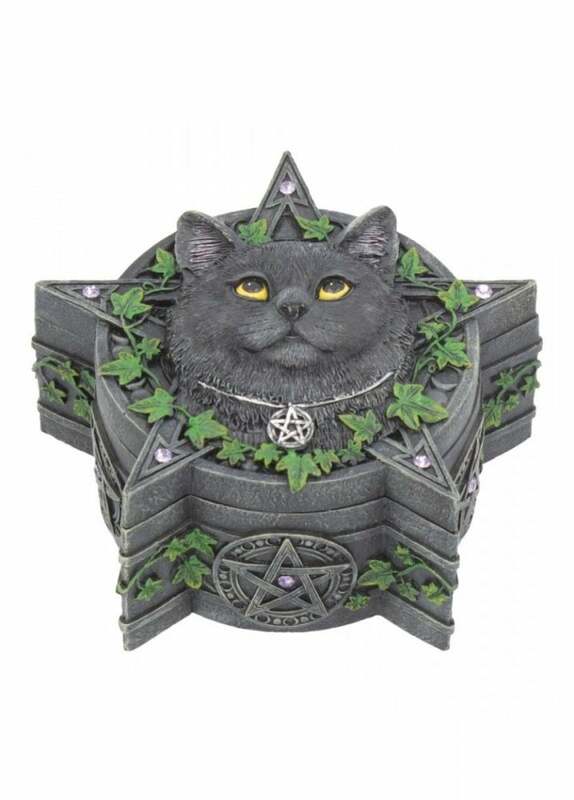 This Gothic jewellery box is features a cats head on the lid with piercing, yellow eyes. The box is shaped with the points of a pentagram with large networks of Ivy clinging to the frame.